ABBOTT’S GIFT CERTIFICATES make a perfect gift! In any denomination! Call us to order your gift certificate & we’ll send it to you – or your recipient – directly! 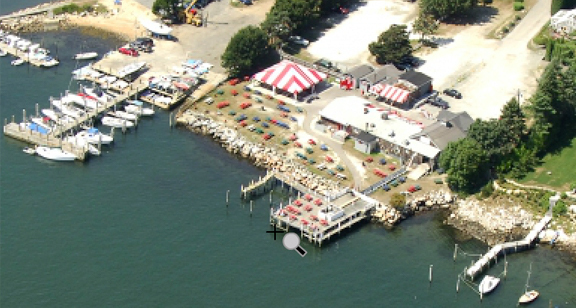 Call us at (860) 572-9128. ABBOTT’S RETAIL DECK. AVAILABLE AT ABBOTT’S, OR ORDER BY PHONE! Shipping: Delivery via US Postal Service Priority mail. Domestic shipping and handling (to single address) is additional. Felt hats, flexible, and one size fits all! Have some fun in the sun and show your true love of lobstah’! Not just for kids!! 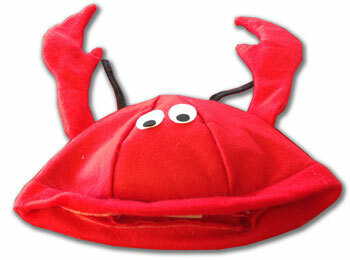 Big kids can enjoy these lobstah’ hats, too! 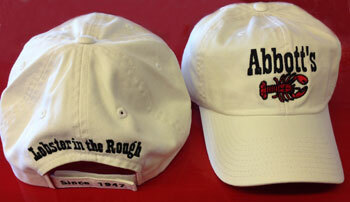 Embroidered hats with ‘Abbott’s’ and a lobster graphic on the front’ and ‘Lobster in the Rough. Since 1947’ on the back. Perfect to wear while sitting out on the deck at Abbott’s, enjoying your lobster dinner this summer! Similar to our natural white hats, but a fun sunny color for you to remember your visit to Abbott’s Lobster! 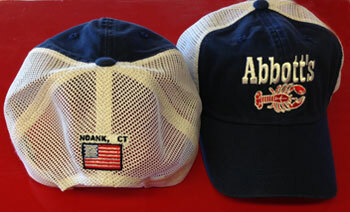 Embroidered hats with ‘Abbott’s’ and a lobster graphic’ on the front navy panel, and ‘Noank, CT & an American Flag’ on the white panel back. 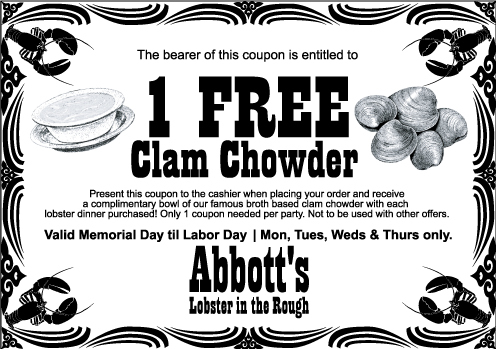 A perfect gift to take home from your travels to Abbott’s Lobster. Even more fun for our international visitors! You’ll love these tees, created by our illustrator, who had some fun with our famous hot lobster roll! Yes, the lobster rolls are HOT. So are the TEES! We removed the ‘hot’ copy! Fun tees for the kids. We’ve kept it clean, and eliminated the ‘Our Lobster Rolls Are Hot!’ All sizes. Classic grey Abbott’s ‘varsity-style’ tees. Red imprinting with ‘Abbott’s Lobster in the Rough, and our lobster in an oval’ featured on the front … and a suggestive lobster claw on the reverse side. Fun and classic, and a popular choice in recent years. Black Mugs. Red Abbott’s Lobster logo and famous ‘lobster’ graphic. 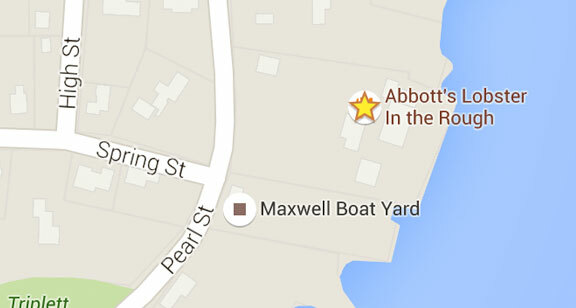 Noank, CT, too! A nice gift for lobster lovers, or for yourself!!! Fun oval stickers with a solid white background – or white background. Magnets with a solid white background. 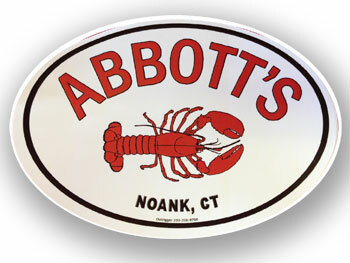 The same design, featuring ‘Abbott’s, our logo lobster, and Noank, CT’. A perfect addition to your shotglass collection — or a proper pour of your favorite libation! Clear glass, with the Abbott’s Lobster logo, since 1947 & Noank, CT.